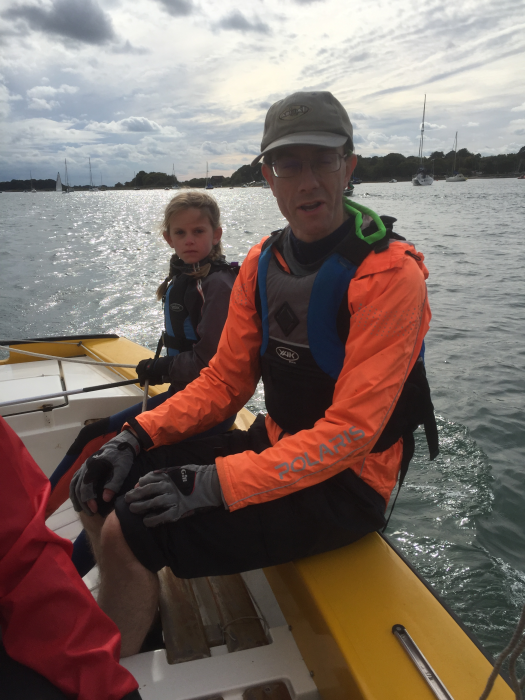 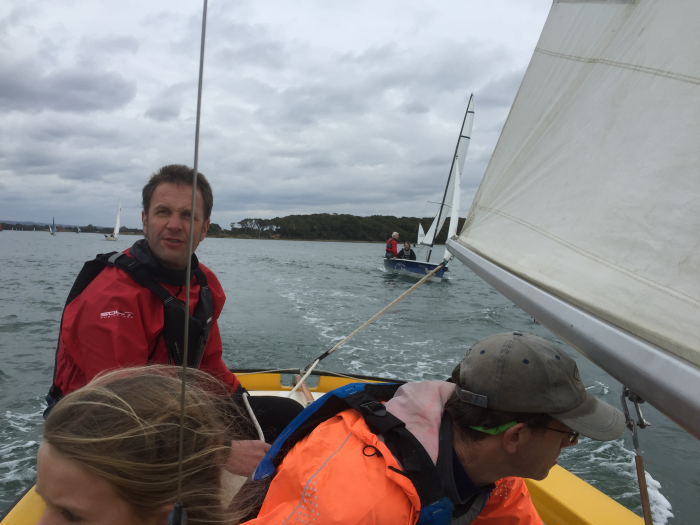 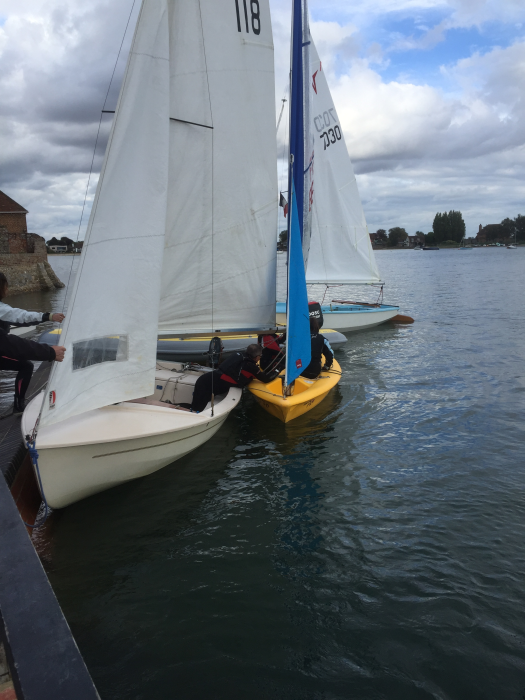 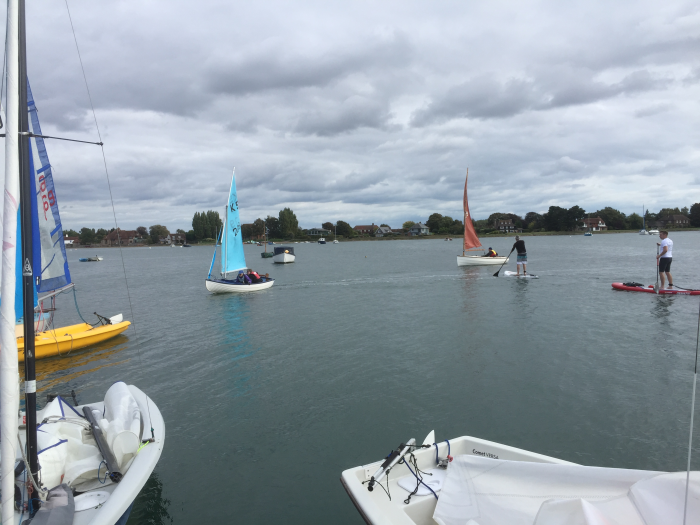 The final dinghy cruise of the season often attracts a healthy few sailors but none of us expected 16 boats to join us on the 30th september! 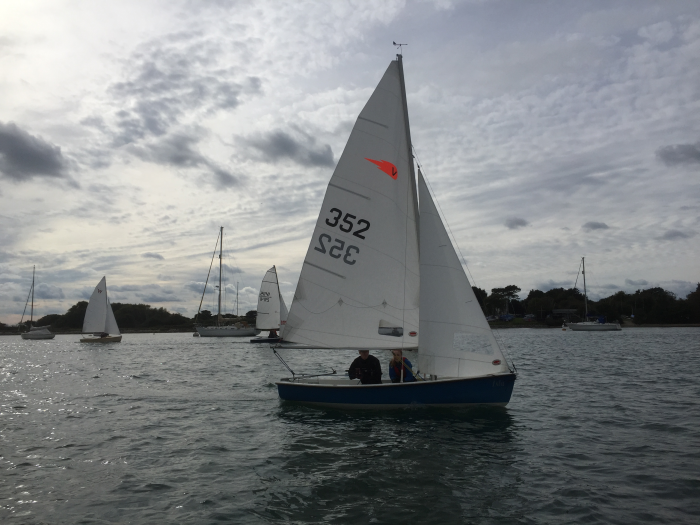 In what turned out to be fantastic sailing conditions lasers, wayfarers, scows, picos, wanderers, comets and various Cornish ‘derivatives’ all thoroughly enjoyed sailing together. 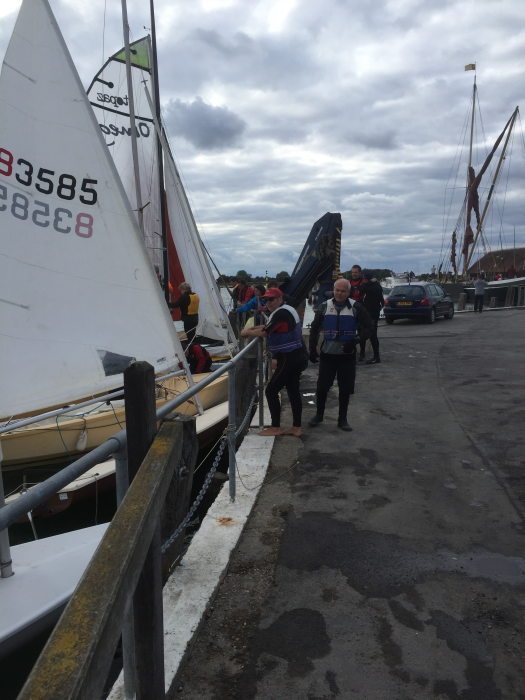 The NW breeze had increased nicely by the time we set sail just before 1400 and even with the inevitable speed differences all boats made good time as we worked against the flooding spring tide on the way to Westlands. 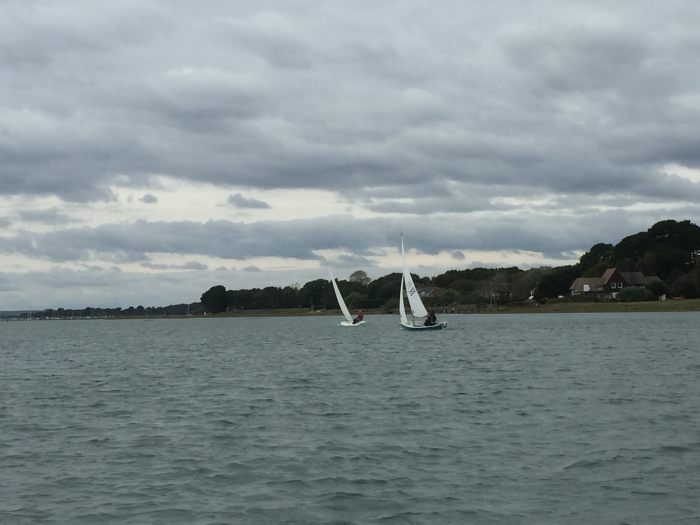 As we turned the corner the wind kindly allowed a favourable (ish) starboard beat as we sailed towards Itchenor. 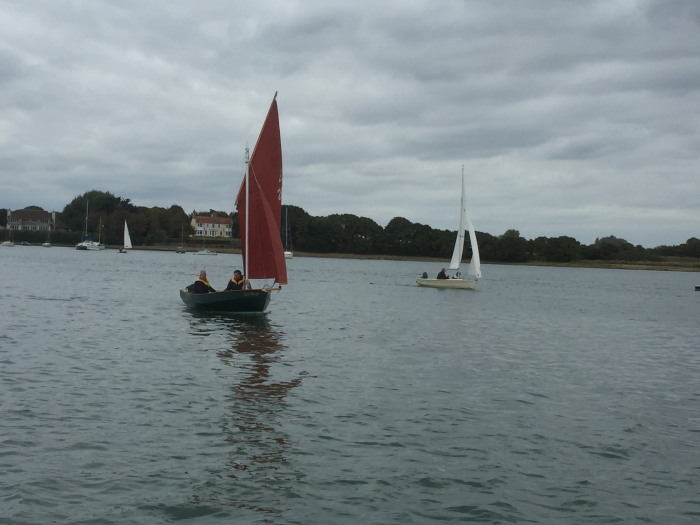 As the crews tacked up Itchenor reach most sailed strategically up the northern side of the channel to avoid the worst of the tide (now mingling with the Harding long distance crews). 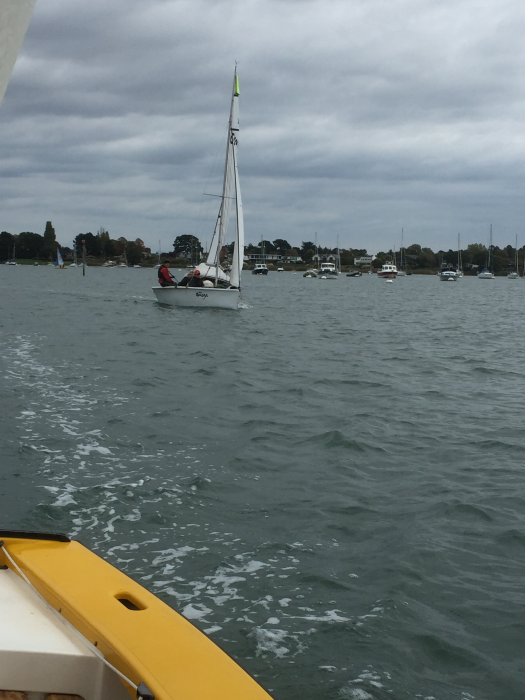 At Deep End we could bear away and enjoy the last of the flood to cruise towards Bosham’s Saxon church spire. 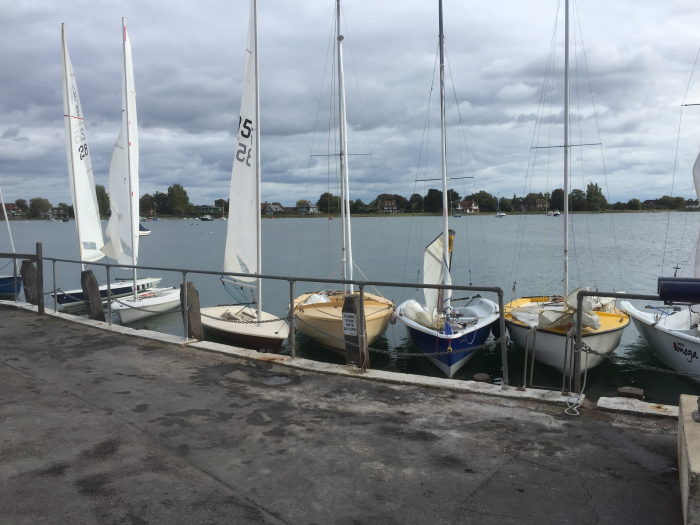 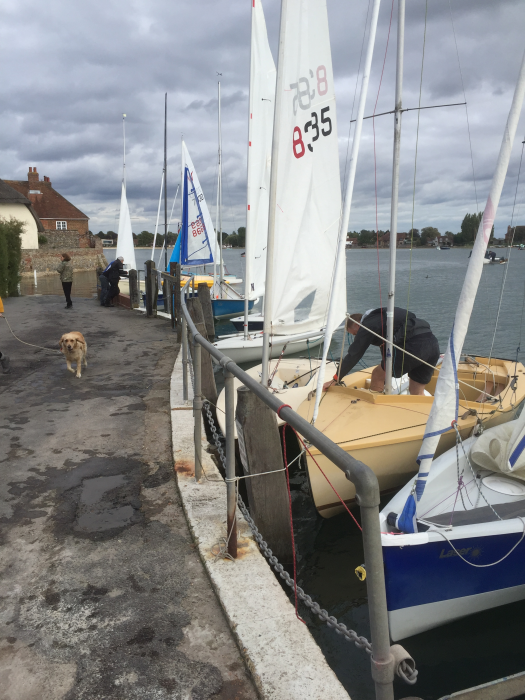 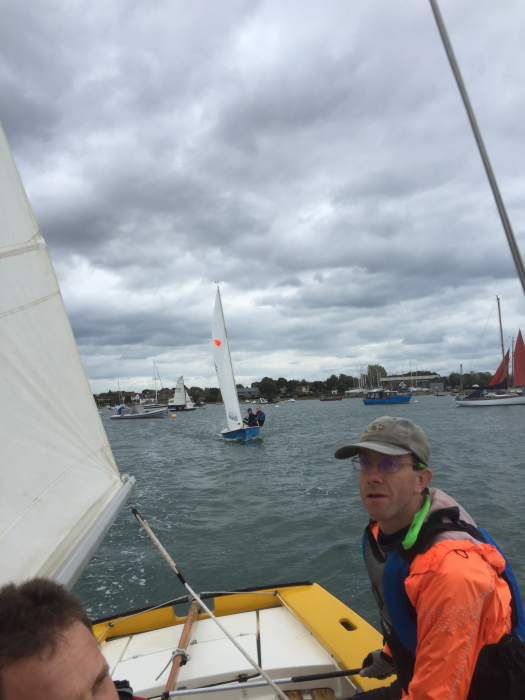 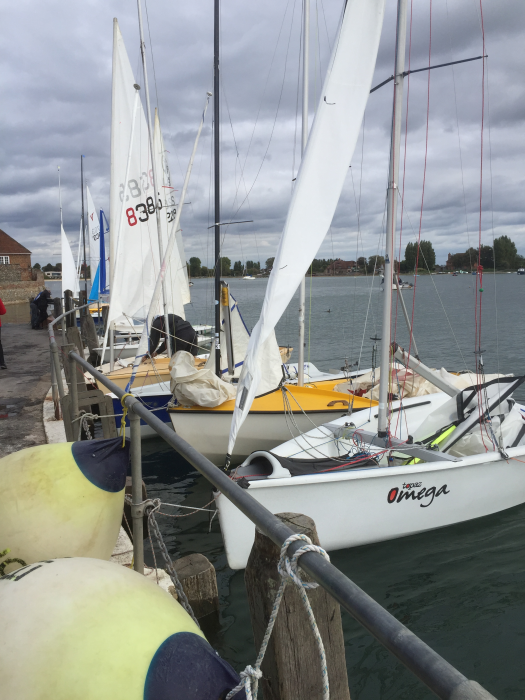 Once all boats were made good on the quay we enjoyed the hospitality (and convenience) of Bosham sailing club. 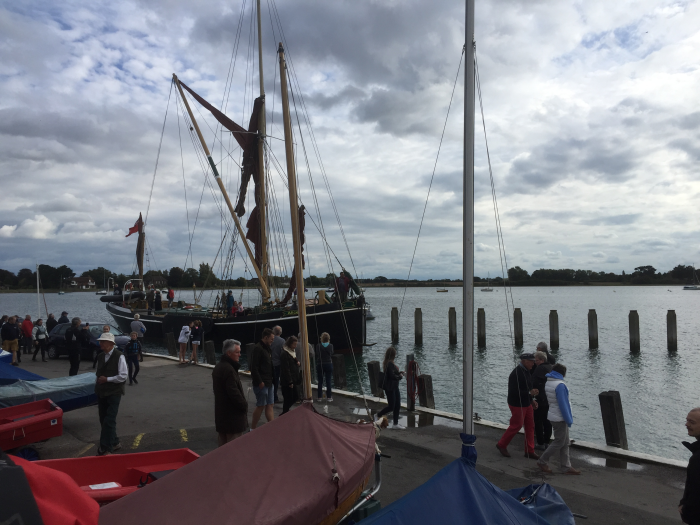 As we enjoyed our refreshments entertainment was provided by an 80ft Thames barge which came into the main quay at the perfect time! 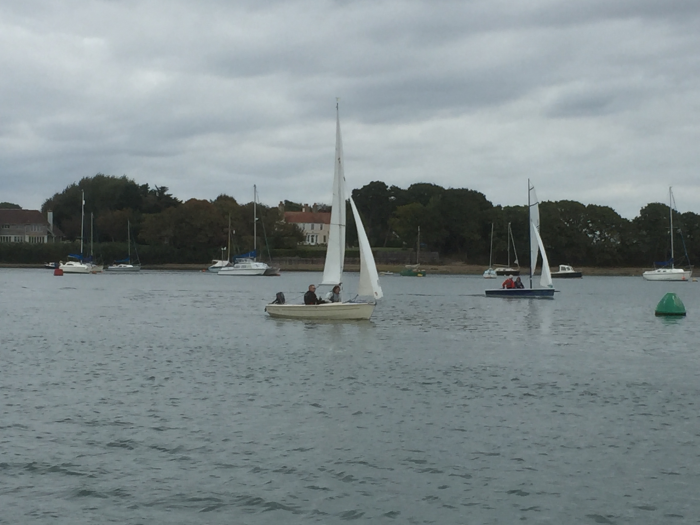 The ebb tide zoomed us back to Deep End before a leisurely run back to westlands. 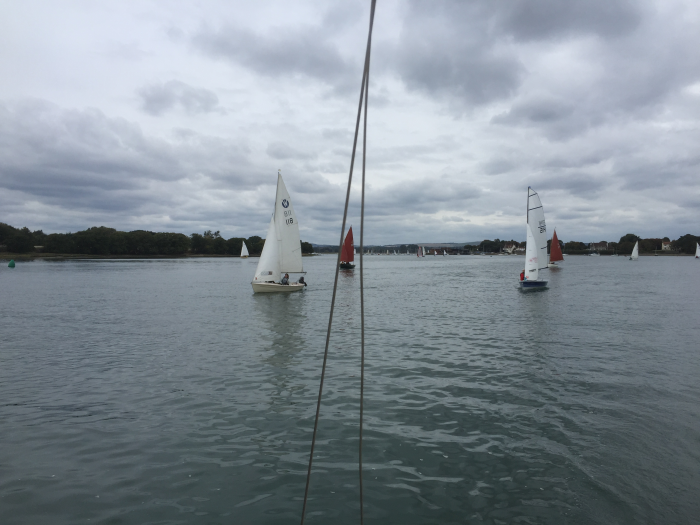 The wind was fading and becoming inconsistent as we close reached past the marina and back home for tea just gone 1700 to end a tremendous afternoon on the water! 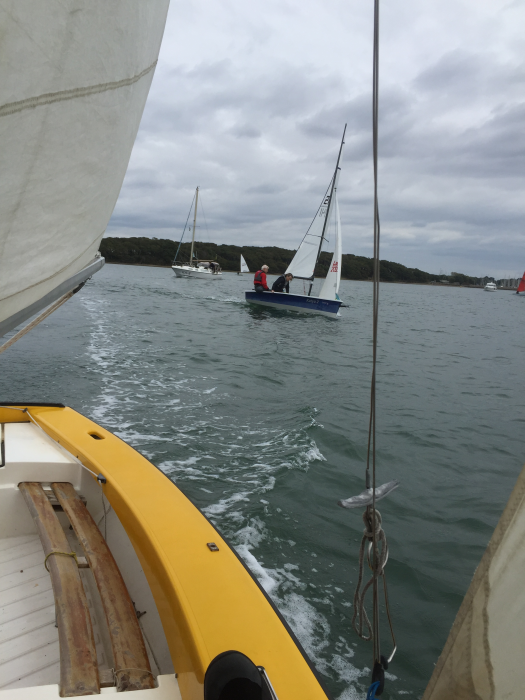 Big thanks to Fred and Megs for their patience and looking after us on the Alfie! 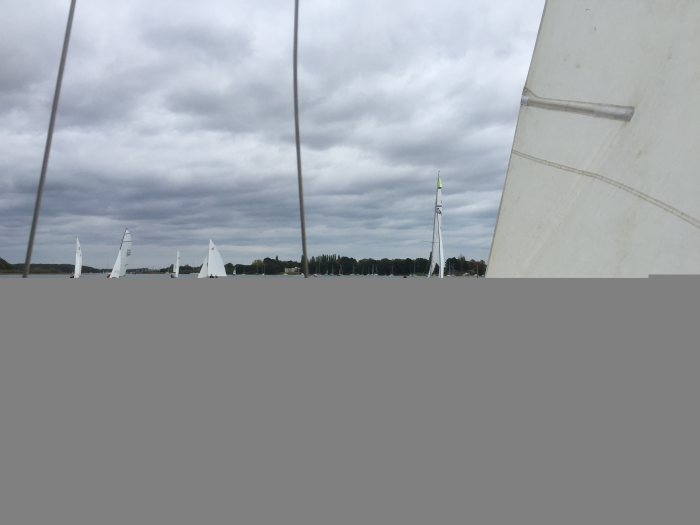 See you all next year for some more of the same!